The Autism Society of Maine (ASM) is offering an opportunity to fundraise in a fun way while promoting Autism Awareness! Schools, businesses or agencies can offer to sell puzzle piece paper hearts for $1 each to students, customers or clients. They would put their name on the heart and you would display them in a window or on a wall. You most likely have seen a variety of stores and businesses sell them to show support for a cause. 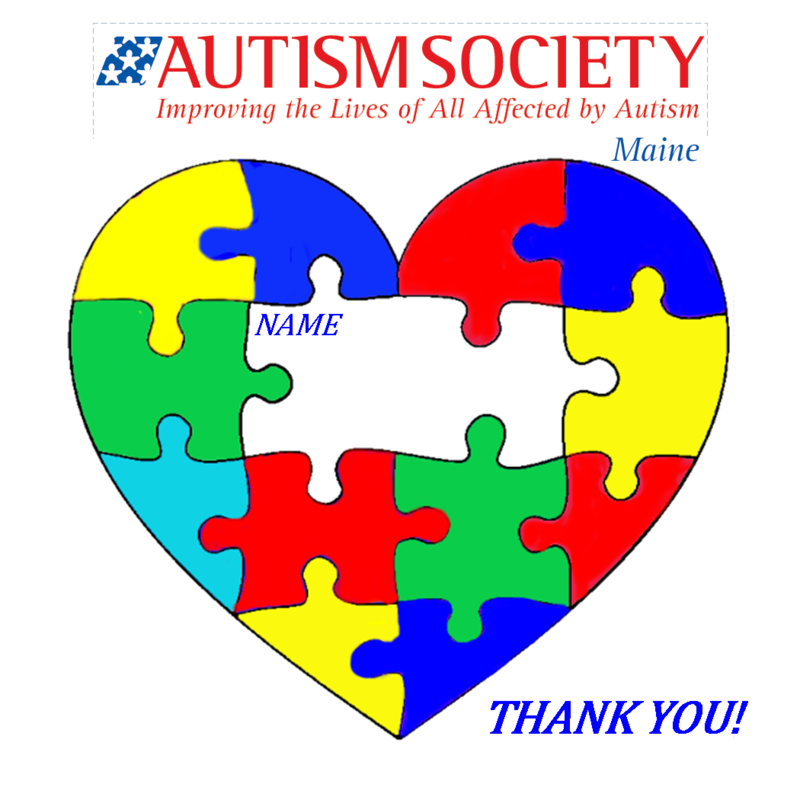 This is a great way for you and the participants to support the Autism Society of Maine. ASM would supply you with the hearts and you would provide a check at the end of the campaign for the total amount of hearts sold. It’s that simple. Over the years we have seen many agencies provide the needed support to nonprofits like ASM but in the last few years we are seeing a drop off in general support. Many programs that ASM provide are free; in order to keep these programs free we need of more support from our local agencies or businesses. All you need to do is fill out a form with school or agency's name, contact person, address and how many hearts you want. Send the form to ASM and we will get your hearts to you and check in with you half way through the campaign. You can even decide to do this for two weeks vs. the whole month of April. If April is too busy, pick another month. We are open to whatever makes it easy for you. For your participation in this campaign your agency will be highlighted on our Facebook page with a link to your business or agency and we will list you on the Heart Campaign website page. ASM has a very high traffic website and over 4,600 Facebook followers. Please see the campaign form and call ASM with any questions you may have: 1-800-273-5200.